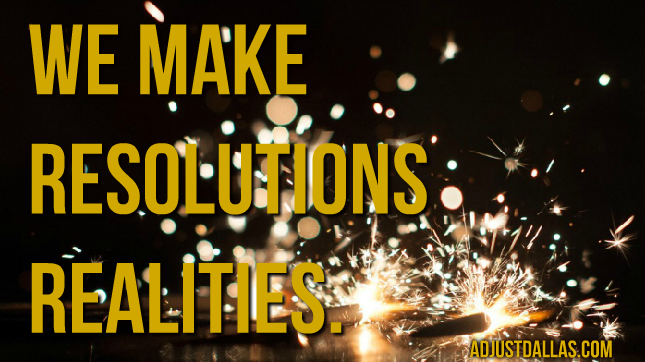 You will fail at your New Year’s resolution. The title says it all, you will fail at your new year’s resolution, and I guarantee it. That is of course if you are setting the bar high enough. Discouraging? Challenging? People will have different emotions to being told that they will fail. But again, it is the truth, you will fail. The average person fails after just 15 days, pretty sad right? So the real question is what are you going to do once you fail? Since we know it will happen. The difference between someone who accomplishes their goals and someone who doesn’t is what they do once they fail. So we already know going in to it that it is going to happen, we know it will be challenging, and that failure is right around the corner. But once you fail are you going to feel sorry for yourself, make excuses, hope for next year, or are you going to get right back on track? On day 15 when you go through the drive thru or give in to a cigarette are you going to have a meltdown or are you going to recognize the temporary setback. You see every time you fail, you can learn from the failure, and you can get stronger, better, and those 15 day stretches become longer and the failures become further and fewer in between. Whatever and whoever your definition of greatness is, I guarantee you they failed along the way. So we know you will fail, now how are you going to respond? 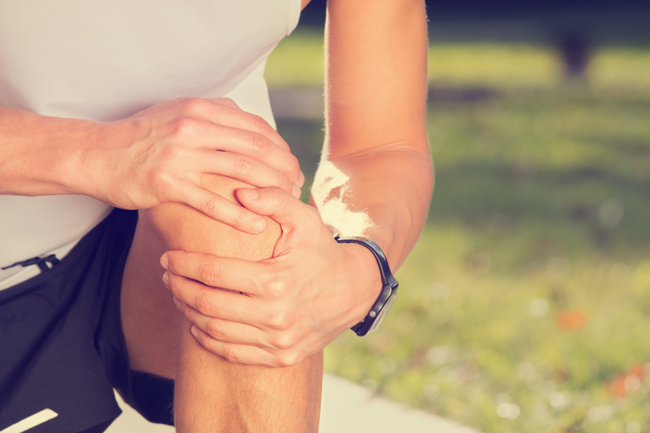 Don't let a painful joint prevent you from exercising; try these joint-friendly options instead. short walks throughout the day, instead of a long walk. Original article from Harvard Health. The National Institute of Drug Abuse reports opioids killed more than 1,300 Texans in 2016. Texas Attorney General Ken Paxton is bringing the state into a series of lawsuits against a pharmacy company accused of worsening the opioid epidemic. Texas joins states such as Tennessee, Florida and North Carolina that are suing Purdue Pharma for misrepresenting the risks of opioid addiction. 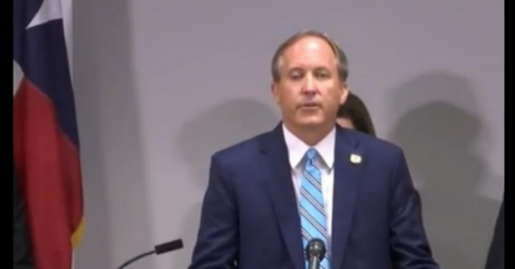 At a press conference May 15, Paxton announced that his office filed a consumer protection lawsuit in the Travis County District Court against the company for allegedly violating the Texas Deceptive Trade Practices Act (DTPA). ​"My office is holding Purdue Pharma accountable for fueling the nation's opioid epidemic by deceptively marketing prescription painkillers including OxyContin when it knew their drugs were potentially dangerous and that its use had a high likelihood of leading to addiction," Paxton said. "As Purdue got rich from sales of its opioids, Texans and others across the nation were swept up in a public health crisis that led to tens of thousands of deaths each year due to opioid overdoses." What does the NCI say about Cancer and Cannabis? -Studies in mice and rats have shown that cannabinoids may inhibit tumor growth by causing cell death, blocking cell growth, and blocking the development of blood vessels needed by tumors to grow. Laboratory and animal studies have shown that cannabinoids may be able to kill cancer cells while protecting normal cells. -A study in mice showed that cannabinoids may protect against inflammation of the colon and may have potential in reducing the risk of colon cancer, and possibly in its treatment. ​-A laboratory study of delta-9-THC in hepatocellular carcinoma (liver cancer) cells showed that it damaged or killed the cancer cells. The same study of delta-9-THC in mouse models of liver cancer showed that it had antitumor effects. Delta-9-THC has been shown to cause these effects by acting on molecules that may also be found in non-small cell lung cancer cells and breast cancer cells. -A laboratory study of cannabidiol (CBD) in estrogen receptor positive and estrogen receptor negative breast cancer cells showed that it caused cancer cell death while having little effect on normal breast cells. Studies in mouse models of metastatic breast cancer showed that cannabinoids may lessen the growth, number, and spread of tumors. -A review of 34 studies of cannabinoids in glioma tumor models found that all but one study showed that cannabinoids can kill cancer cells without harming normal cells. -A laboratory study of cannabidiol (CBD) in human glioma cells showed that when given along with chemotherapy, CBD may make chemotherapy more effective and increase cancer cell death without harming normal cells. Studies in mouse models of cancer showed that CBD together with delta-9-THC may make chemotherapy such as temozolomide more effective. It never fails, every year around this time we will have a patient come to the office in a panic. They have a vacation booked for the summer and want to lose some weight. It usually sounds something like this, "I have Cancun in 6 weeks, what can you do for me?!" Well, whether you have a beach vacation booked or not, Summer is still right around the corner. The real question is, are YOU ready for it? Have you tried different diets in the past and they didn't work? Or maybe it didn't stick? Why is that? That's because unfortunately there is no one cookie cutter diet for everyone. At Adjust we individualize every weightloss plan for each patient. We start with a comprehensive blood panel to strategically attack stubborn fat and fast track our weightloss goals. Our plans are physician monitored to make sure your weightloss is healthy, successful, and you don't end up in the same situation next year. Schedule your weightloss consultation by calling 972.701.WELL or clicking here. 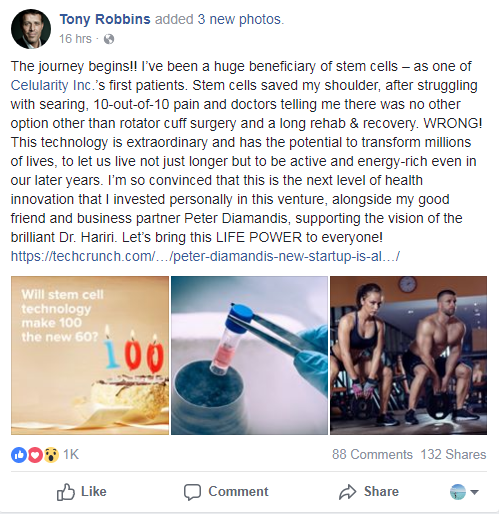 Tony Robbins avoids Shoulder Surgery with Stem Cells. Original Article from Harvard Health Blog. Here are 10 tips for more mindful eating. Not all of these tips may feel right for you — try a few and see how they work. Before you begin eating, take a moment to reflect upon how you feel. Are you rushed? Stressed? Sad? Bored? Hungry? What are your wants, and what are your needs? Differentiate between the two. After you have taken this moment to reflect, then you can choose if you want to eat, what you want to eat, and how you want to eat. Don’t eat on the go. Have a seat. You’re less likely to appreciate your food when you are multi-tasking. It’s also difficult to keep track of how much you are eating when you snack on the go. 3. Turn off the TV (and everything else with a screen). Have you ever glanced down from your phone or tablet or computer, only to wonder where all the food went? These distractions make us less aware of what and how much we are eating. 4. Serve out your portions. Resist eating straight from the bag or the box. Not only is it easier to overeat when you can’t see how much you’ve had, but it is also harder to fully appreciate your food when it is hidden from view. 5. Pick the smaller plate. You might crave less if you see less. Smaller plates will help you with your portion control — an especially good strategy for those all-you-can-eat buffets. Before you start to eat, pause and take a moment to acknowledge the labor that went into providing your meal — be it thanks to the farmers, the factory workers, the animals, mother Earth, the chefs, or even your companions at the table. Try to get 30 chews out of each bite. (30 is a rough guide, as it might be difficult to get even 10 chews out of a mouthful of oatmeal!) Take time to enjoy the flavors and textures in your mouth before you swallow. This may also help prevent overeating by giving your gut time to send messages to the brain to say you’re full. 8. Put down your utensil. Often, we are already preparing the next morsel with our fork and knife while we are still on our previous bite. Try putting down your utensils after each bite, and don’t pick them back up until you have enjoyed and swallowed what you already have in your mouth. 9. Resign from the Clean Plate Club. Half of over-65s take at least five drugs a day. Almost half of over-65s in England are taking at least five different drugs a day, a Cambridge University study has found. The figure has risen from just 12 per cent 20 years ago, while the proportion taking no pills at all dropped from around 20 per cent in the late 1990s to just seven per cent today. Researchers tracked more than 15,000 older people who took part in two long-term health studies which began in the 1990s. Some of those who took part in the long-term investigation said they were on up to 23 tablets every day. Researchers expressed concern at the increasing dependence on prescription and over-the-counter medicines - known as 'polypharmacy'. Studies show polypharmacy can increase the dangers of interactions between different drugs and the risk of frailty in older patients. It's feared many patients are left on medications long-term without thorough or regular GP reviews. Volunteers in the study were asked to record their regular medication use, including drugs prescribed by doctors and those they bought over-the-counter, such as painkillers, vitamins and minerals. The results, in the journal Age and Ageing, showed the proportion taking five or more different drugs a day jumped from 12 per cent to 47 per cent. Heart disease pills, such as statins, accounted for nearly half the medicines taken. Researchers said increased drug use partly reflected better diagnosis and treatment of potentially deadly conditions. But they also voiced concerns that some patients may not need all the drugs they are on and were potentially at increased risk of death. Researcher Dr Carol Brayne said: "We know that polypharmacy is associated with higher mortality and that the evidence for combination therapies on the scale that we have seen them in the older population is not good." A 2015 study in Spain found those taking six medicines or more a day were nearly three times as likely to die prematurely than those on no drugs at all. Even taking up to five a day increased the dangers by an estimated 47 per cent, researchers warned.